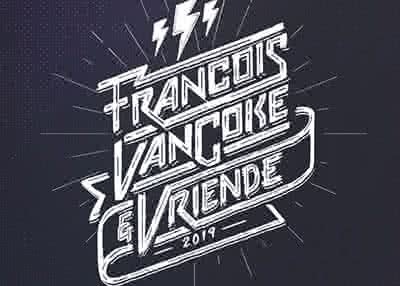 After the success of a sold-out show at Sun Arena in Pretoria, September 2018, Capetonians have been begging for Francois van Coke & Vriende to come to the Mother City. Francois van Coke was raised in the Northern Suburbs of Cape Town and rose to fame as the legendary front man of celebrated South African rock bands Fokofpolisiekar (2003 - to date) and Van Coke Kartel (2007 - 2017). Francois launched his solo career in 2015 with the release of the most poignant ballad of that year, `Toe vind ek jou` featuring Karen Zoid. At the beginning of 2018 it was decided that Francois should celebrate his then 15-year legacy as rock icon and local music pioneer. The result was a 2-hour rock spectacular hosted by Francois; showcasing his collaborations with various prestigious artists with whom he has crafted some of the most memorable South African songs. `I`ve had the privilege to collaborate with some of South Africa`s finest musicians. The Francois van Coke & Vriende 2018 Pretoria show was without a doubt THE HIGHLIGHT of my career. It was inevitable that I bring this to my city, Cape Town. Whatever you do, don`t miss out on this special night. I know that it is going to be a highlight for you too,` says Francois about this rock spectacular. The backbone of this show will be Francois van Coke with his band, Die Gevaar, who will perform various songs from his solo career. During the show his friends will join him on stage to perform the anthems they created together, as well as hits from their own catalogue. The friends for Cape Town are: Jack Parow, Majozi, Fokofpolisiekar, Die Heuwels Fantasties, Laudo Liebenberg, Coenie de Villers, Early B, Arno Carstens, Van Coke Kartel and Riana Nel.